Visit the Ladies' Home Journal Book Club website to learn more. As a young girl growing up in Spain, Ana Larragoity Cubillas is powerfully drawn to Puerto Rico by the diaries of an ancestor who traveled there with Ponce de Leon. And in handsome twin brothers Ramon and Inocente—both in love with Ana—she finds a way to get there. Marrying Ramon at the young age of eighteen, she travels across the ocean to Hacienda los Gemelos, a remote sugar plantation the brothers have inherited on the island. But soon the Civil War erupts in the United States, and Ana finds her livelihood, and perhaps even her life, threatened by the very people on whose backs her wealth has been built: the hacienda’s slaves, whose richly drawn stories unfold alongside her own in this epic novel of love, discovery and adventure. 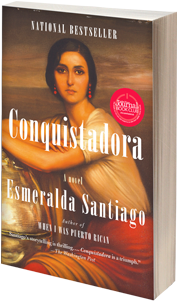 Esmeralda Santiago is the author of the memoirs When I Was Puerto Rican, Almost a Woman, which she adapted into a Peabody Award–winning film for PBS’s Masterpiece Theatre, and The Turkish Lover; the novel América’s Dream; and a children’s book, A Doll for Navidades. Her work has appeared in The New York Times, The Boston Globe, and House & Garden, among other publications, and on NPR’s All Things Considered and Morning Edition. 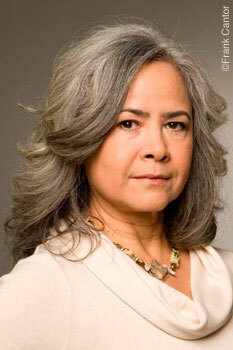 Born in San Juan, Puerto Rico, she lives in New York.